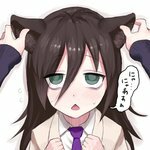 Posts fully translated with translation notes. Images that have been edited to replace the original text with a translation, whether it be by a first/second party (alternate language) or a third party (hard translated). This tag only applies to fully translated posts. If the translation is incomplete or needs review, leave the translation request tag and add the partially translated or check translation tags. When the post is fully translated, remove the translation request tag and add translated. Additionally, it's okay to leave out the translated tag on posts with very small and insubstantial notes, such as single onomatopoeia that could just as well go untranslated. Anything more substantial than that should be tagged translated (see topic #2465). Read howto:translate for guidelines if you intend to translate. Do not make translations that you're not sure of. The following tags are aliased to this tag: translation, translatied (learn more).